Hop Industries’ booth at ICE USA was the place to be for converters this past week! 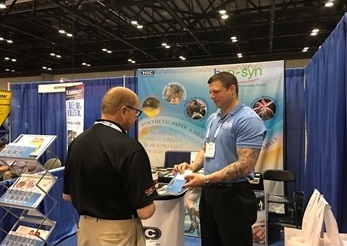 Attendees met with Hop-Syn expert William Latham to learn all the ways in which the Hop-Syn synthetic paper is being used for tags, labels, and more. If you weren’t able to attend the show, call 800.524.0757 to speak with a Hop-Syn sales associate to learn more. 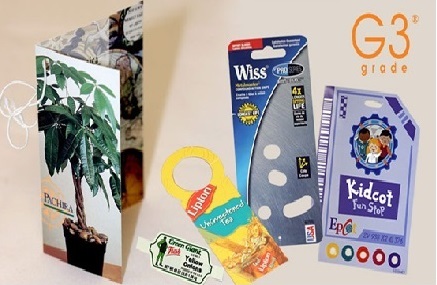 Waterproof, tear resistant, and 100% recyclable, Hop-Syn synthetic paper is the ideal substrate for demanding applications. Hop-Syn is available in a variety of grades and gauges. Hop’s in-house converting also makes it possible to order the Hop-Syn synthetic paper cut to size. Fill out Hop’s online form to receive free samples of Hop-Syn synthetic paper or call 800.524.0757 for more information.